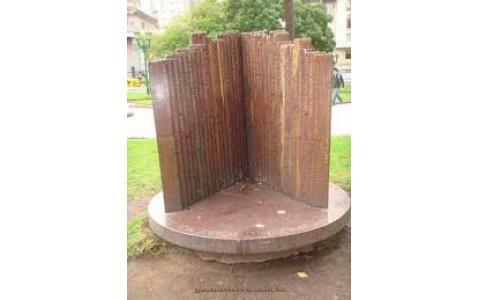 This Monument was created in the memory of the victims of the AMIA terrorist attack of 1994. 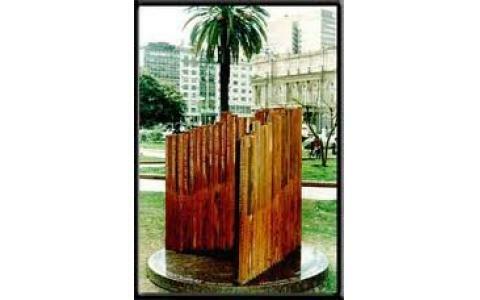 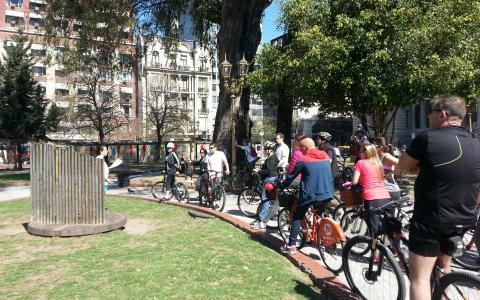 It is located on Plaza Lavalle (Lavalle Square), in Buenos Aires, in front of the Palace of Justice where criminal courts function. 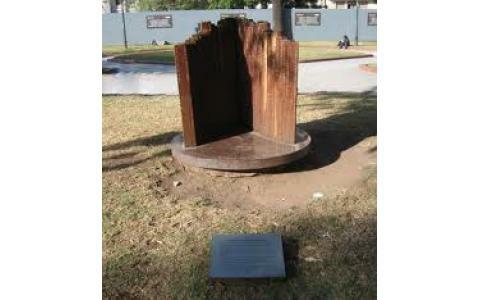 It is the work of sculptor Mirta Kupferminc. 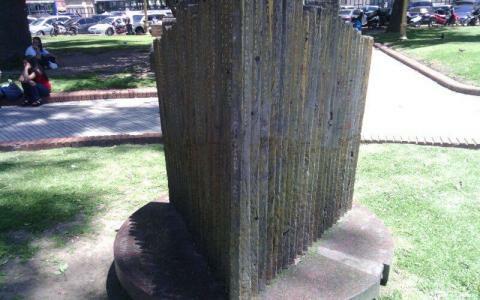 Wooden stakes with the names and ages of the 87 victims of the attack emerge from it, placed in the manner of a wedge towards the gates of the Palace of Justice, symbolizing the wait for justice.